A little over a year ago, we discussed an interesting case where the owner of a camera that took a picture of a monkey could not register a copyright in the picture because the monkey was the one took a picture of itself. Well, that case reemerged last year when attorneys for PETA who “represent” the monkey filed a lawsuit in California arguing that the photographer violated the monkey’s copyright when he published pictures that the monkey took. (Naruto v. Slater, 3:15-cv-04324-WHO, C.D. Cal.) Last week, the Court granted the photographer’s motion to dismiss, holding that a monkey is not entitled to register a copyright with the Copyright Office or bring suit for copyright infrinement. The monkey brought suit under Sections 106 and 501 of the Copyright Act (17 U.S.C. §§ 106 and 501), alleging that the publication of the photographs it took violated its copyrights in these photographs. The Court initially noted that there is no per se bar to an animal being a proper plaintiff in some limited circumstances, so it chose not to focus on that aspect of the case. Instead, the Court looked to the language of the Copyright Act, its legislative history, court opinions interpreting the Act, and the regulations of the Copyright Office. Taking all of these together, the Court found no indicating that Congress ever intended for animals to be able to hold copyrights or bring suit under the Act. In particular, the Court noted the Copyright Office has considered this very situation–whether a monkey can hold a copyright–and concluded that it cannot. See Compendium of U.S. Copyright Office Practices § 313.2 (December 2014). 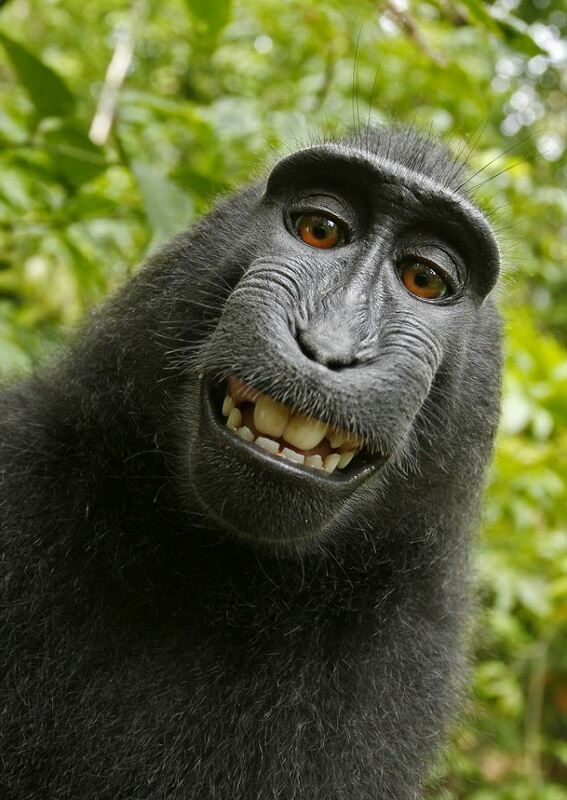 So, for now at least, photographs taken by monkeys (and other animals) cannot be copyrighted by the animal.